Each main dish served with a small amount of sambal, fried tempeh, lemon basil leaves, and slices of cucumber. 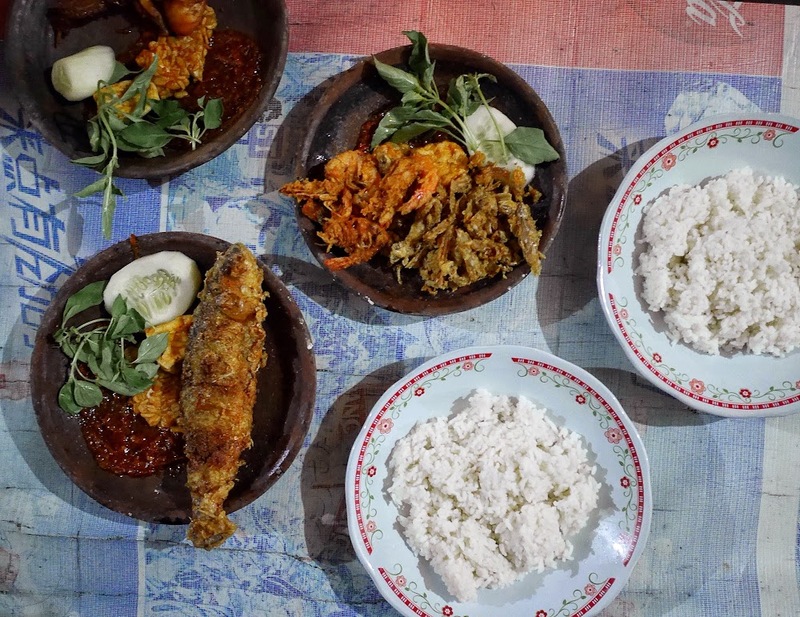 Though it's famous for it's wader, they also have ikan bandeng, prawn, and chicken. It's a modest dining, where you need to take off your shoes, share the mat with the other visitors. Wise pricing policy, very affordable, best of all is the story that I will remember. A thank you for local friends that took me here. See you again, Surabaya! Depot Hok Lay Malang: Fosco Please!